Brand New in Retail Box!! 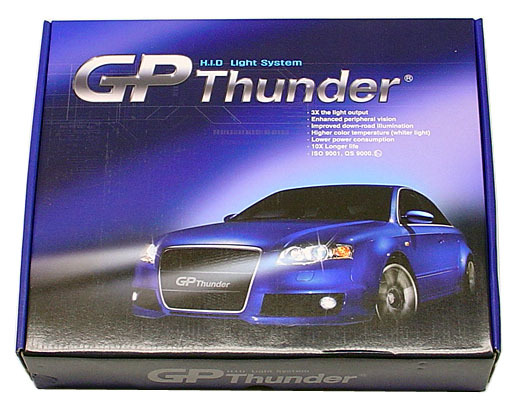 Our GP Thunder 3500k HID kits are much brighter, and prettier than any other HID bulbs you"ve ever seen. 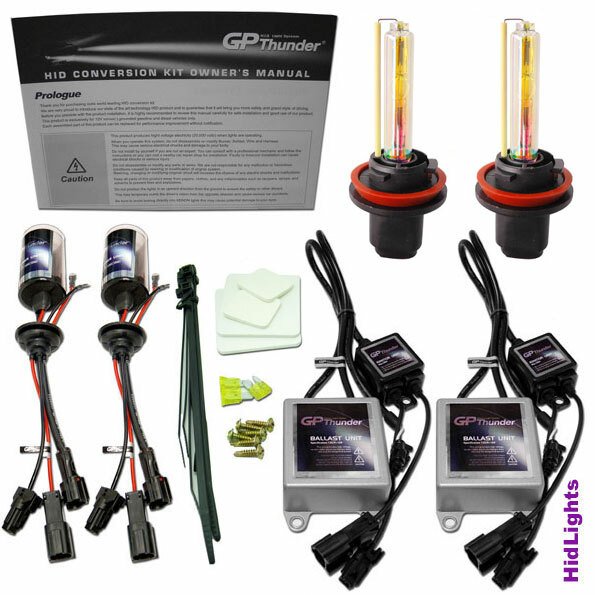 This is the best HID Kits you can own!! H1, H3, H11, 9005, are available, and please let us know which model you need with your payment. Golden Yellow light. The color temperature of HID lighting more closely approximates the color temperature of natural daylight than does a halogen bulbs, which appears yellowish. Greater visibility. The combination of more light output and gold color make for better visibility in most night time driving conditions. The clear Golden Yellow light produced by the xenon bulb is similar to daylight. Research has shown that this enables drivers to concentrate better. Furthermore, this particular light color reflects the road markings an signs better that conventional lighting. *6 We have tested its ballast"s compatibility with OEM lamps (Philips, Osram, GE, Matsushita) from 2001 and 6 Korean, Japanese lamps from Jan 2003. Hella does not use shield cable since noise filter is included in the D2 lamp socket. But D2 lamp socket may be removed in the aftermarket. As a result of removing the noise filter in the D2 socket, some abnormal symptoms may be appeared in the vehicle. Produce Super-Golden Yellow light and more intensity of lighting. Please see the pictures how brilliant it is. Ballast with connected ignitor 2 pcs.